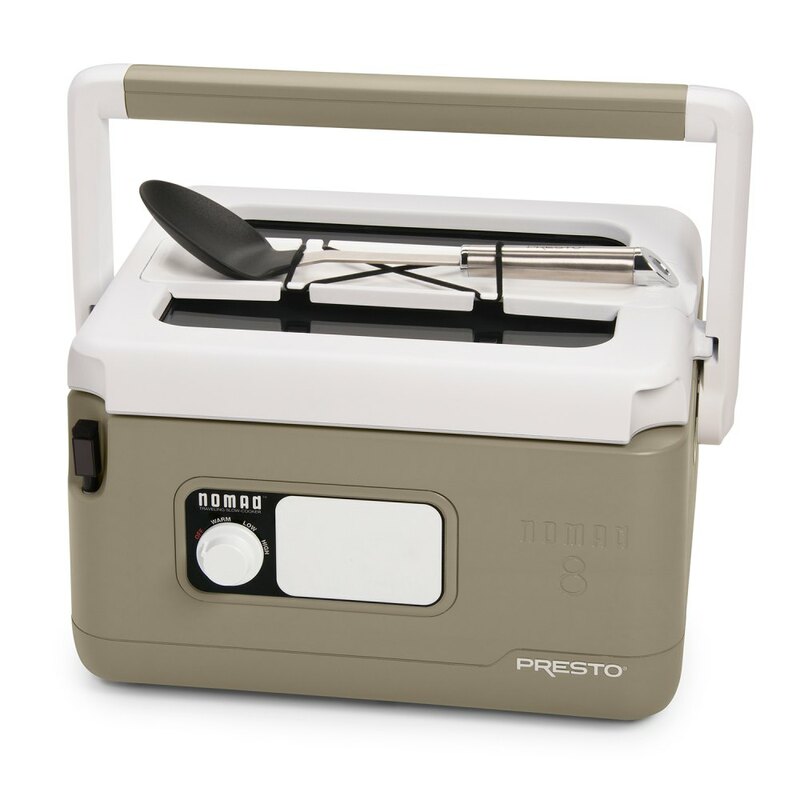 Unique “picnic cooler-style” design with cool-touch housing and swing-up handle makes carrying easy. Great for soups, stews, casseroles, chicken, roasts and more. Even less expensive cuts of meat tenderize as they cook. Large 8-quart size holds enough to feed a crowd. Ideal for buffet-style foods: Pulled pork, chicken wings, barbecues, hot beef and more. Large see-through glass window in cover for viewing what’s inside. Rugged, wide-profile design helps prevent tip-overs while traveling. Removable nonstick cooking pot is fully immersible for easy cleaning. Built-in cord storage for convenience when traveling. Hinged cover is removable for cleaning. Locking lid seals tight for spill-proof transportation. Removable utensil holder doubles as a spoon* rest.